distribution Essentially throughout the mountains and Piedmont foothills, and sparingly east in the Piedmont to Rockingham County. A record for Chatham County, far to the east and southeast of other records, might be of a stray. abundance Rare to locally uncommon in the mountains and foothills. Rare into the northern Piedmont, at least away from the foothills. flight Mainly in late summer and fall, but many dates starting in early summer. Flight is from mid- or late June to late October; generally from mid-August into early October. habitat Large rivers, less so at large streams or at lakes. Favors sandy bottoms. behavior Males are very strong fliers and may forage a long distance from water, in fields and other places. As with other Stylurus species, males in particular may perch on a leaf and hang vertically on it as the leaf bends under the weight of the insect. They also forage in large flights over water. comments This large species has an unusually long (and slender) abdomen, giving rise to the common name, as it does resemble an arrow in some respects. 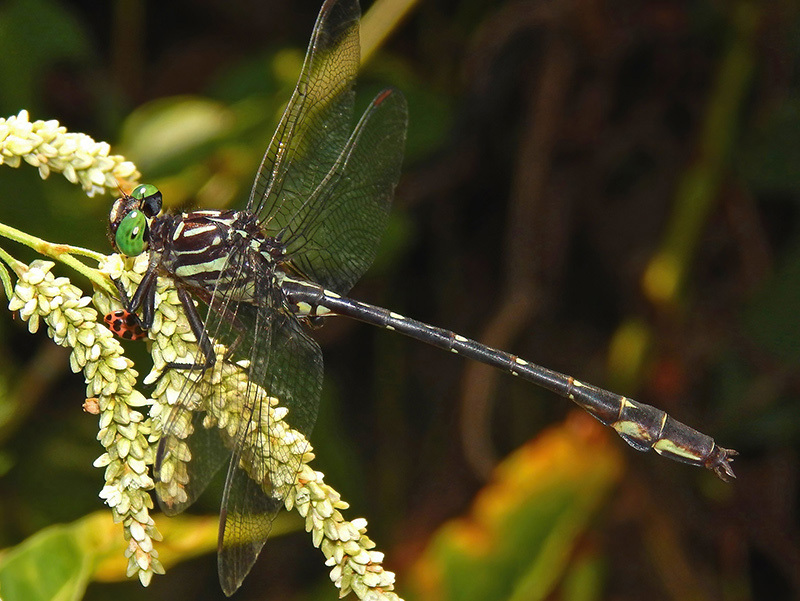 It is not one of the rarer clubtails in the mountains and foothills; however, because it flies mostly in very late summer and autumn, after much of the odonate field work is done, records have been somewhat slow to accumulate. There are still less than 25 records for the mountain province, though we do have a number of recent photographs.